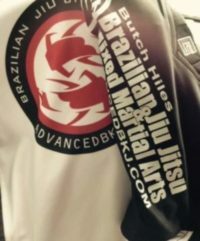 Great time tonight training the mind and body Butch Hiles BJJ what a great bunch of guys to train with !!! "Great self defense class today! I hear my boys practicing now!! Thanks Butch and Crossfit for hosting!" "Awesome self defense class today at CrossFit WV!! Our family had a blast and learned so much. Thanks Butch Hiles." "So absolutely cool. Congrats Butch. The dedication you put in and the hours you devote to teaching others is well appreciated. Great job!"